Borrow, steal, mix and stir these tried & tested marketing ideas! These ideas are all used by freelance businesses (or small creative businesses). All run by real-life, established graphic designers, illustrators, web designers or photographers. To read more about the specific marketing example, click the round images! To visit the website of the freelance creative or small creative business behind it, use the “used by” links. 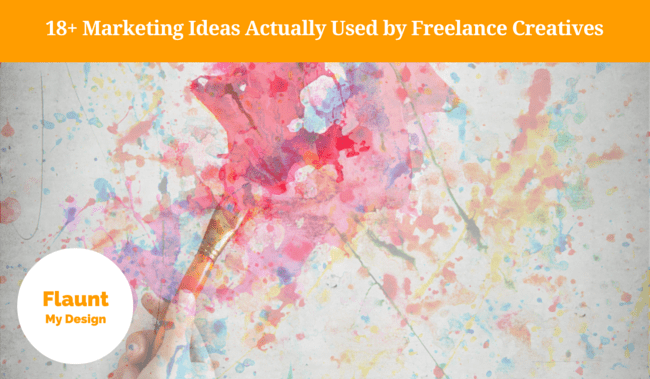 Do you have your own real-life example of a successful marketing idea for freelancers? Any other nifty tips for how a creative business can find new clients? Do share! Shoot me an email! It will for sure get their attention! Another similar one is to buy their names on Google AdWords (admit it, EVERYBODY Google their own name). Thanks for commenting, Stuart! I appreciate your blog! It has definitely inspired some content here!